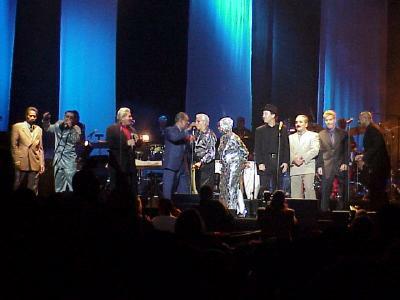 This Fan Page has links to photographs and MPG Salsa Video Clips of the Fania All Stars. The Fania All Stars, a group of musicians that played Latin music and hooked up in New York, are considered by many to be the fathers of Salsa music. With members such as Larry Harlow, Willie Colon, Ruben Blades, Celia Cruz, Ray Barreto, Johnny Pacheco these multi-national band of Latino artists changed the was we listen to Latin music forever. Salsa was born! Here we have photographs of the Fania All Stars playing in New York City at Madison Square Garden in 1999 and at the Copacabana Nightclub in 2002.